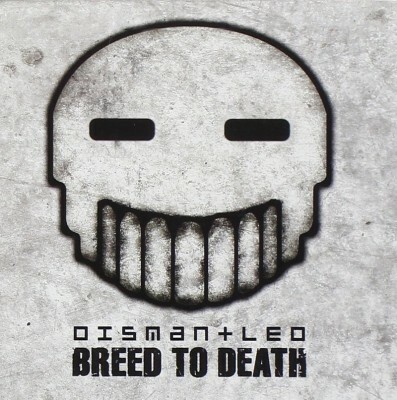 As soon as I saw there was a cover of Paula Abdul’s “Straight Up,” I couldn’t wait to listen to Breed to Death, the preview to Dismantled’s third album, Standard Issue. I was never a fan of Dismantled (the whole trying-to-sound-like-Frontline Assembly thing turned me off), so I was pleased to hear that Gary Zon has grown into his own sound that is less epic industrial and more distinctive EBM and is actually good. The original mix of “Breed to Death” gets lodged in your head and the remixes by Xian “feed” Antkow and Psyclon Nine aren’t half bad. “War Dream,” another unforgettable work, shows that Zon doesn’t need remixers to make this EP exciting. It’s nice to see Haujobb and Wumpscut remixes, but they are mediocre compared to the original mixes. If it weren’t for Paula Abdul, I may never have given Dismantled a second chance, and I’m glad I did.